High Quailty Traditional Headshot of characters (your own or fanart) full color. 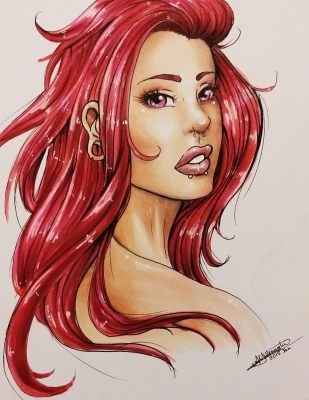 Hi, I'm a self taught artist who's currently pursing art college. I'm inspired by The Wizards of the Coast artists and also have a soft spot for Hayao Miyazaki. I love commissioning OCs of any sort and any style - anime style, fantasy, American comic, you name it. Original Characters are fun for me because they are usually really unique. I will also do custom fan art. I'll draw human/humanoid creatures, animals, objects... Pretty much anything.